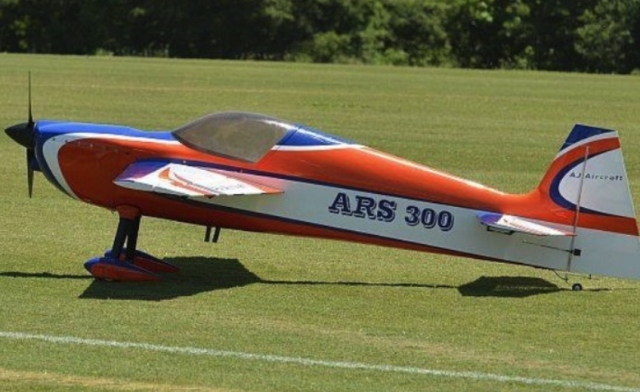 Gashanger.com/GlobalRC - AJ Aircraft ARS 300 104"
AJ Aircraft ARS 300 104"
AUW (dry) - 26-28 lbs. (2) x 36" extensions for push-pull rudder. None needed for pull-pull.